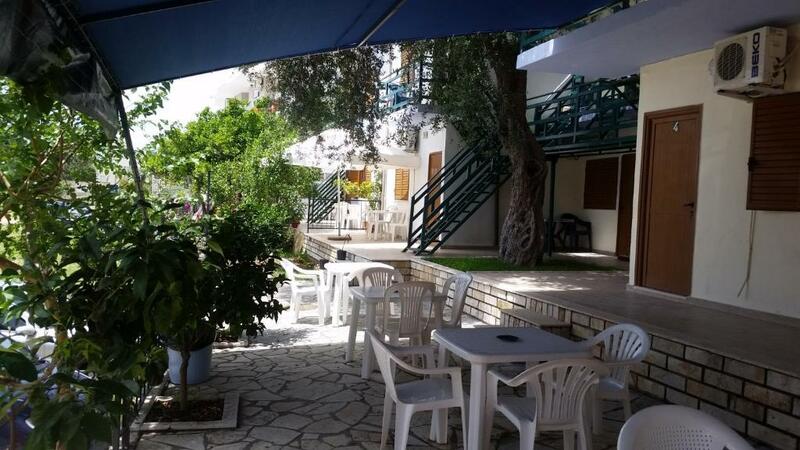 Lock in a great price for Mehilli Hotel – rated 8.3 by recent guests! Holidays were wonderful. Me and my boyfriend liked so much the place and people there. Vlora beach (Drimades) is one of most beautiful beaches and we have stayed every day till 20:00 o'clock to be able to see sunset. We would recommend Royal Blue Restaurant which has very great food and staff. Location is exellent,staff is friendly, wifi was very good,the room were clean, it was comfort. It was near seaside and the hosts were helpful. The room is clean and comfortable. It has free private parking. Great value for money. 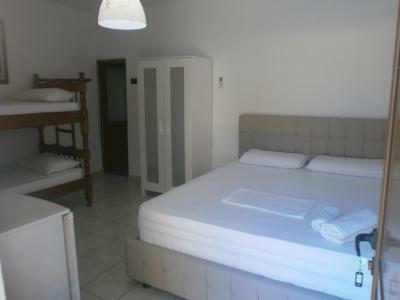 It was near the seaside; has private parking and the room has a great seaview. The room had the necessary facilities. The host were polite and respectful. Cheap good stay. But very simple standard. Friendly staff. 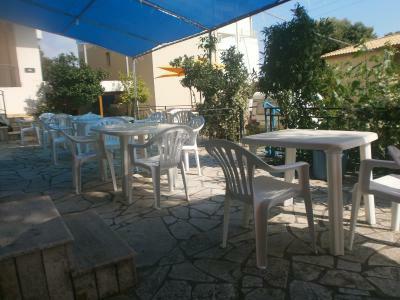 The position is great as it's right at the main entrance of the beach and has lots of facilities nearby. The rooms are pretty large and well furnished. The staff is awesome. View on sea and mountain too. Close to the promenade and staff really friendly and kind! Clean and very comfortable bed. Location is perfect. The room had everything. Free parking. The area itself is worth visiting. The beaches, especially in nearby Drymades, are spectacular, nearly deserted, and clear. The room had an enjoyable balcony with table and chairs. Very welcoming host. Top location. Nice and clean rooms. 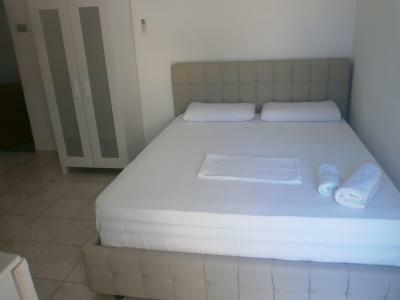 Mehilli Hotel is offering accommodations in Dhërmi. All rooms feature a TV with satellite channels and a private bathroom. The property provides valet parking and luggage storage space for guests. At the hotel, every room includes a terrace with a mountain view. 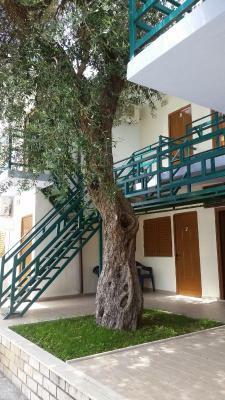 The rooms include air conditioning, and selected rooms include a balcony. Guest rooms will provide guests with a fridge. When would you like to stay at Mehilli Hotel? This quadruple room has a balcony, stovetop and air conditioning. 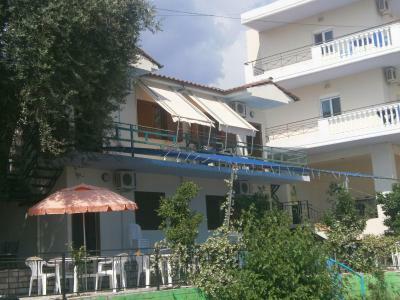 This triple room features a balcony, patio and kitchenware. This triple room has a balcony, soundproofing and patio. House Rules Mehilli Hotel takes special requests – add in the next step! Please inform Mehilli Hotel of your expected arrival time in advance. You can use the Special Requests box when booking, or contact the property directly using the contact details in your confirmation. The owner was very helpful, and the accomodation was beautiful. The beach, many restaurants and markets were really close to the hotel. Toilet door shouldnt have glass, so you could sleep in dark. Very friendly people, clean room, big balcony. They didn't clean the room any of our staying dates. The room wasn't sea view as we booked so that need to be changed online. The room is much older and in worse condition than represented on the pictures. The kitchenette area consists essentially of an old portable electric cooker and a sink with a couple glasses. The bathroom is boxy, with a tiny basin. The room is not dirty, but the linen smells and there are many ants scurrying around. The so-called sea view means that you glimpse the sea 200 meters away, behind a wall of houses and trees. Overpriced. We found several places in Albania, in much better shape, for 2/3 of the price. You can hear people in next room snoring or even talking. Tv didn’t work. 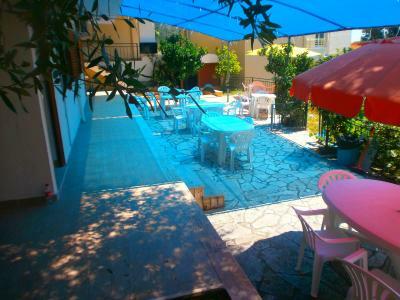 Very good price, but also very basic place, close to the beautiful beach with unbelievable clean water.